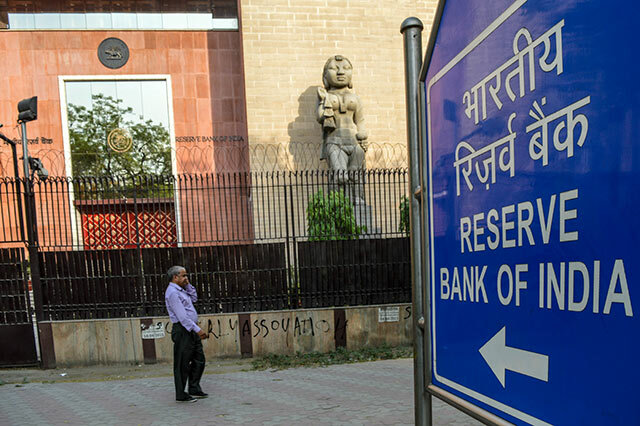 The Reserve Bank of India's (RBI) move to regulate online peer-to-peer lending (P2P) platforms augurs well for the nascent sector but needs greater clarity to ensure they don't choke the startups that are helping provide funds to those who are outside formal banking channels. P2P lending ventures such as LoanZen and Faircent have said that the central bank needs to issue detailed guidelines on how firms will pool credit risk or how they can be be protected from instances of fraud, while ensuring that unbanked sections are able to borrow money. "India has a far greater credit exclusion problem. Companies with four years of continuous profitability are not able to get Rs 1 crore from a bank without placing a fixed deposit," said Madhu Sudhan, founder, LoanZen Pvt. Ltd. He said the RBI consultation paper has not said how firms can pool credit risk or how credit can be securitised. The central bank had released a set of guidelines for the P2P lending segment late last month. It has invited feedback from stakeholders till May 31. It had proposed to define P2P lending ventures as non-banking finance companies (NBFC), a leverage ratio and a minimum capital requirement of Rs 2 crore for such startups to regulate the nascent but fast-growing segment. The proposed guidelines come at a time when a number of startups have sprung up that connect individual borrowers or small businesses with lenders through a digital platform. The P2P lending segment, within the broader financial-technology sector, has also been brimming with funding activity. According to Vinay Mathews, co-founder, Faircent, run by Fairassets Technologies India Pvt. Ltd, the RBI norms are silent on how frauds and malpractices would be prevented or detected. Authorised capital is an inadequate step to prevent fraud or corruption, he said. He suggested that the minimum capital requirement should be increased to Rs 5 crore. "Anyone with Rs 2 crore authorised capital can easily pay that individually and come up with a company. The entry barrier is very low," he said. However, Sunil Kumar, founder, LoanMeet, owned by Sarjug Software Pvt. Ltd, said the amount was too large and would hurt most P2P lending marketplaces. "We need some time, at least a year, to raise that kind of money," he added. There are others such as Sudhan who believe the Rs 2 crore requirement is a good beginning. "Asking everybody to be a non-banking finance company (NBFC) with minimum capital requirement of Rs 2 crore is an excellent idea because when people are lending on your platform, you need some capital reserve to make good any capital loss," he said. Gaurav Chopra, CEO, IndiaLends, a P2P lending paltform run by GC Web Ventures Pvt Ltd pointed out that the RBI norms would help prevent money laundering. "There is no rule in place that the lender has to provide his KYC or has to be certified from a FATCA perspective. In theory, any P2P company in India today can support money laundering," said Chopra. KYC or Know Your Customer refers to the the process of a business verifying the identity of its clients. FATCA or Foreign Account Tax Compliance Act requires all financial institutions in India to furnish information about US resident's financial accounts or investments to the US tax department. With fin-tech startups raising funds from US residents, non-applicability of FATCA to P2P lending firms leaves the gate open to diverting capital across countries. According to him, the RBI wants to prevent scams such as the recent one in China involving P2P lender Ezubao. "This big P2P company was running a Ponzi scheme. There was an $8 billion fraud where the borrowers did not exist and the lenders thought they were putting in money and would get returns," explained Chopra. "The RBI does not want that to happen here." Several startups said the RBI proposals are just the beginning and the final draft would have to be more comprehensive. As Mathews pointed out, the regulator has stated that money will flow from borrower to lender but has not specified the process. "The granularities and micro elements in this (paper) have not been captured. It's at a very superficial stage at this moment. Not everything is vague or at a distant stage, but there's a lot that needs to be defined more clearly," he added. Chopra of IndiaLends also wanted more clarity on the proposals. "From a structure perspective and how the paper is set up, there needs to be a clear bifurcation of who the borrowers are and what problem a P2P lending company is solving," he said. Stakeholders have also asked for guidelines on how a loan would be serviced in case a P2P platform shut down operations. Kumar of LoanMeet suggested that the RBI should ask P2P lenders to purchase life insurance for borrowers, to ensure that a loan is paid back if the borrower dies during the tenure of the loan. He also added that the regulator must make it mandatory for P2P lending players to report their loans to credit reporting agencies such as CIBIL (Credit Information Bureau Limited) and Experian India (an information services company that helps detect frauds) as borrowers obtain their loans from multiple P2P platforms. "As of today, there is no way for a P2P platform to find out whether the loan EMI was transferred from the borrower's account to the lender's account. To facilitate that, the P2P lenders must be allowed to open nodal accounts to track flow of funds and facilitate transfer of funds," he said.